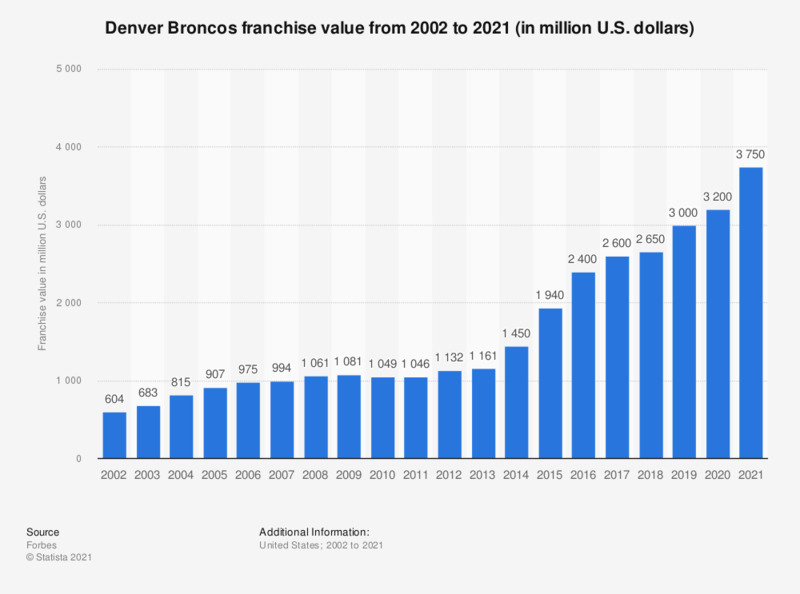 This graph depicts the franchise value of the Denver Broncos from the National Football League from 2002 to 2018. In 2018, the franchise value came to 2.65 billion U.S. dollars. The Denver Broncos are owned by the Pat Bowlen Trust, who bought the franchise for 78 million U.S. dollars in 1984. Do you like buttock tattoos? Women: How much do you agree with the statement that you look as good as you can?